My wife and I are planning on taking a 4 week trip to Europe in September of 2016. We will be leaving from Atlanta and most likely flying to London but we haven’t nailed that down yet. I was thinking we both apply for 1 credit card each in our names, the Barclaycard Arrival Plus card and the Chase Sapphire Preferred card. Do you think we should sign-up for more than 2? Do you recommend other cards that would fit this scenario? Thanks for your question, Jonathon! If you each sign-up for the Chase Sapphire Preferred card, you’ll have enough points to cover the cost of your flights. And you could pay for your hotel stays with another card like the Barclaycard Arrival Plus World Elite Mastercard! London’s Calling! Save Money by Using Miles & Points to Get You There! 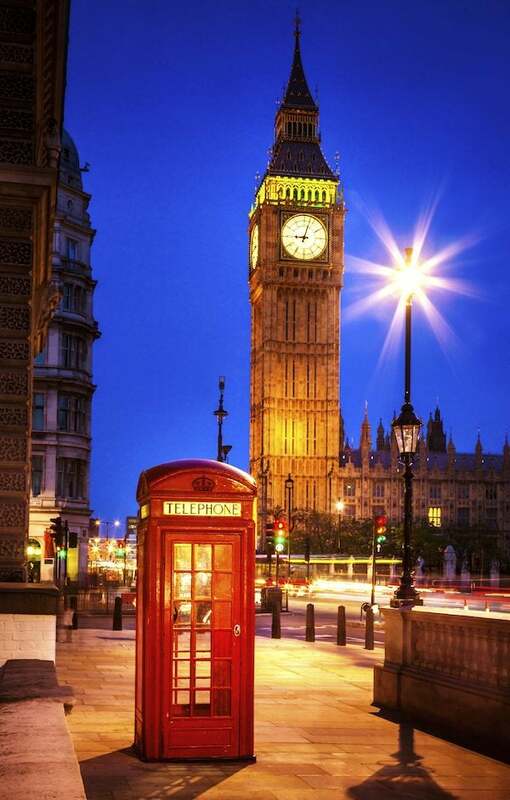 I’ll explain how you can save big on your trip to London! How Many Cards Should You Sign-Up For? Before you start signing-up for credit cards, make sure you understand the risks. And read my Beginner’s Guide for an overview of how this hobby works. Emily and I usually sign-up for ~3 to ~4 credit cards each quarter. But when you’re new to this hobby it’s important to start slow with 1 or 2 cards. This way you can test the waters, see how it impacts your credit score, and ensure you can pay your bills in full and on time each month. How to Fly to Europe for Close to Free! Two round-trip tickets to Europe could cost ~$2,600! Or you can earn miles and points to get there for almost free! With the Chase Sapphire Preferred card, you’ll earn 50,000 Chase Ultimate Rewards points when you spend $4,000 on purchases within the 1st 3 months of opening your account. This is the highest sign-up bonus I’ve ever seen with this card. And when Jonathon and his wife each sign-up, they can earn almost enough points to cover the cost of their flights to London! By putting $2,000 more in spending (or less if your spending is on travel and dining which earns 2X points per $1) on your Chase Sapphire Preferred card, you’ll have 120,000 Chase Ultimate Rewards points. That’s enough for 2 round-trip coach tickets from Atlanta (or anywhere else in the mainland US, Alaska, and Canada) to London on United Airlines or their partners! Using Chase Ultimate Rewards points to pay for your flights could save you ~$2,600! You can transfer your Chase Ultimate Rewards points to United Airlines at a 1:1 ratio and the points should credit to your account almost instantly. 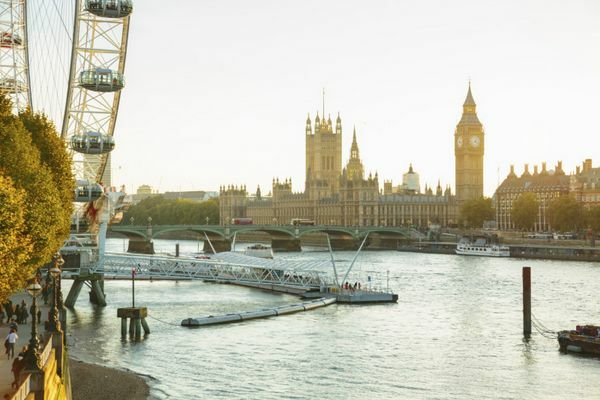 September is a fantastic time to visit London! The summer crowds are gone and the weather is typically still quite nice. United Airlines is the best Chase Ultimate Rewards partner for flights to Europe. But transferring your points to Singapore Airlines or British Airways can also be a good option. If you plan on traveling around Europe during your 4 week stay, you can book cheap paid flights with budget airlines with your Chase Sapphire Preferred card. This will give you 2X Chase Ultimate Rewards points and flight delay protection. Chase is getting strict about approving applications. Some folks report getting denied for a new personal Chase Ultimate Rewards cards (Chase Freedom or Sapphire Preferred) because they opened 5 or more new cards (from any bank!) within the last 24 months. There are exceptions to these new rules. The Chase Sapphire Preferred is my favorite rewards card and it earns points in what I think is the best rewards program! So it’s a smart move to sign-up for this card 1st, just in case you can’t get it later. Which hotel card is right for you, depends on where and how you want to stay in London. 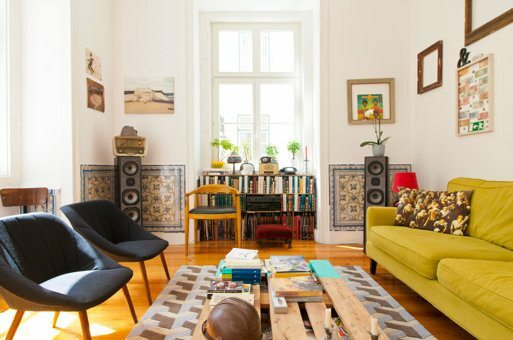 The Barclaycard Arrival Plus may be a good option if you like staying in boutique hotels or renting through sites like Airbnb for more of a local feel. If Jonathon and his wife both sign-up for the Barclaycard Arrival Plus and each spend $3,000 on purchases within the 1st 3 months of opening their accounts, they’ll earn 40,000 Barclaycard Arrival miles each (80,000 Arrival miles total). They can redeem this for $800 in statement credits towards hotel charges of $100 or more. And they’ll get a 5% miles rebate worth another $40 in statement credits towards travel. So if Jonathon and his wife both get the card they’ll earn 100,000 Citi ThankYou points. They can use those points to book up to $1,250 in hotel stays through the Citi Travel Center. What’s great about this option is you don’t have to worry about blackout dates, and you’ll still earn points and elite status credits for your stay. Or if you need a few more Hilton points to book an award stay, you might consider transferring your Citi ThankYou points to Hilton. If you’re interested in luxury hotel stays instead of stretching your points, the Chase Hyatt card is great choice. With this card you can earn 2 free nights at ANY Hyatt hotel when you sign-up and spend $1,000 on purchases within the 1st 3 months of opening your account. And if you’ve stayed at a Hyatt hotel since May 1, 2015, use this link to apply. You’ll earn a $50 statement credit after your 1st purchase, and 5,000 bonus Hyatt points when you add an authorized user who makes a purchase in the 1st 3 months. So together Jonathon and his wife can earn 4 free nights at ANY Hyatt hotel! They could use their free nights for a stay at the Hyatt Regency London Churchill which could cost ~$650 per night! 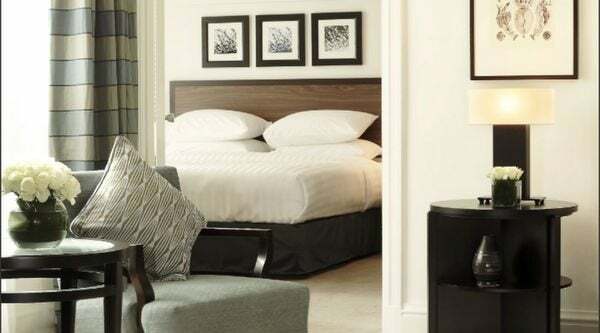 The Hyatt Regency London Churchill Hotel Is Within Walking Distance to Hyde Park, Buckingham Palace, and the Marble Arch! 4 Free Nights Could Save You ~$2,600! These are just a few examples of cards that can get you free hotel nights for your stay in London. Check out my tips on how to find the right hotel card for your travel plans. Planning a trip for 2 to Europe? 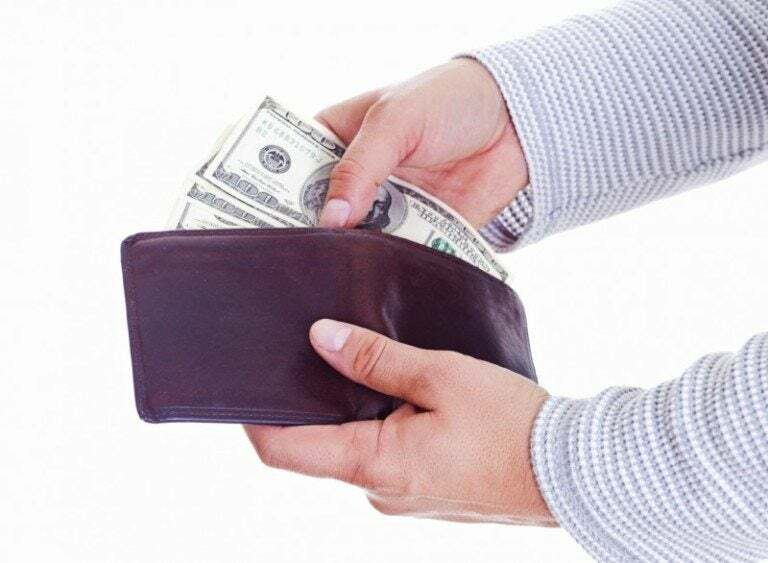 Collecting miles and points can save you lots of money! Read the Beginner’s Guide and know the risks before you get started. Then when each of you earn the 50,000 Chase Ultimate Rewards points sign-up bonus on the Chase Sapphire Preferred card and complete a bit more spending, you’ll cover the cost of 2 round-trip coach tickets across the pond. And cards like the Barclaycard Arrival Plus, Citi ThankYou Premier, or Chase Hyatt, can help you stay for free! This guide can help you choose the right hotel card for your trip! How could they know and/or enforce if it if you have stayed in a Hyatt hotel from May 2015?